Built 1914-1918. Opened 1918 as a cinema, from 1919 also used as a live theatre. Also known as "Teatro Infantil" (Children's Theatre). 500 seats. Demolished 1940 in favour of an open-air theatre on the site (also known as "Anfiteatro Martín Fierro"). 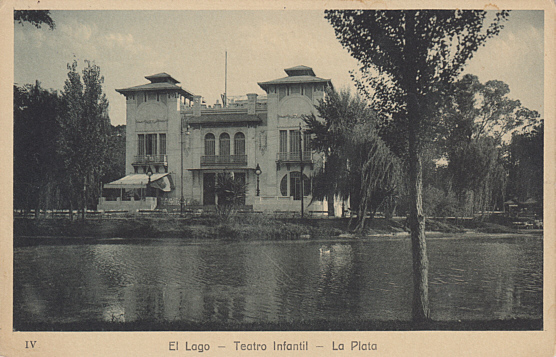 Front Text: "El Lago - Teatro Infantil - La Plata"